I love dual-purpose products, and when they’re organic, even better! I’d not come across One Love Organics before, but the cool, apothecary-esque packaging was enough to make me want to find out more. Brand New Day Microderma Scrub & Masque contains gentle exfoliating granules and can be used as an exfoliator or a face mask. It contains organic sweet pea flower and pineapple flower enzymes that provides a highly effective source of bromelain, vitamin C and manganese. These polish skin and leave it feeling soft and supple without tightness after rinsing. To use as a scrub, add half to one teaspoon of powder to water to form a creamy paste. Massage onto face and throat using gentle circular motions, then remove with warm water. 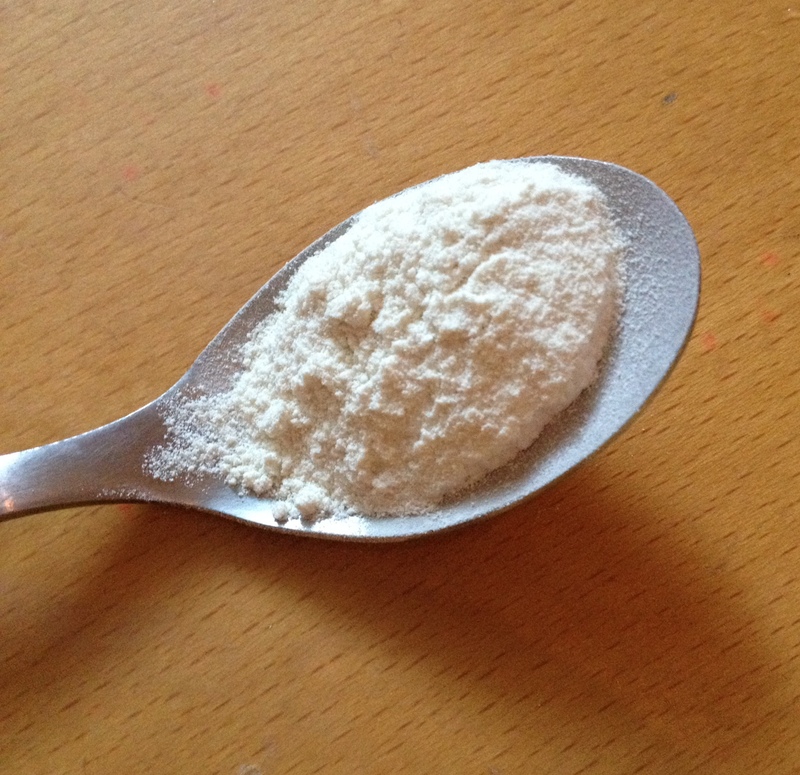 To use as a masque, mix a teaspoon of the powder in your hand or a small bowl. Apply to skin, leave for 10-15 minutes then rinse with warm water. I tried it as a scrub and it certainly does what it says on the tin, and my skin didn’t feel at all tight or dry afterwards. While it’s meant to be gentle enough to use daily as well as on sensitive skin, I feel that it may still be a little abrasive if your skin is very fragile; as someone with sensitive skin I personally found it slightly too ‘scrubby’. However, just because it doesn’t quite suit my skin doesn’t mean I don’t think it’s a good product – other skin types will probably love it! Another interesting thing about this product is that you can also use it on your body, which I will definitely do. Plus, it smells wonderful – think zingy, fruity, crushed pineapple. 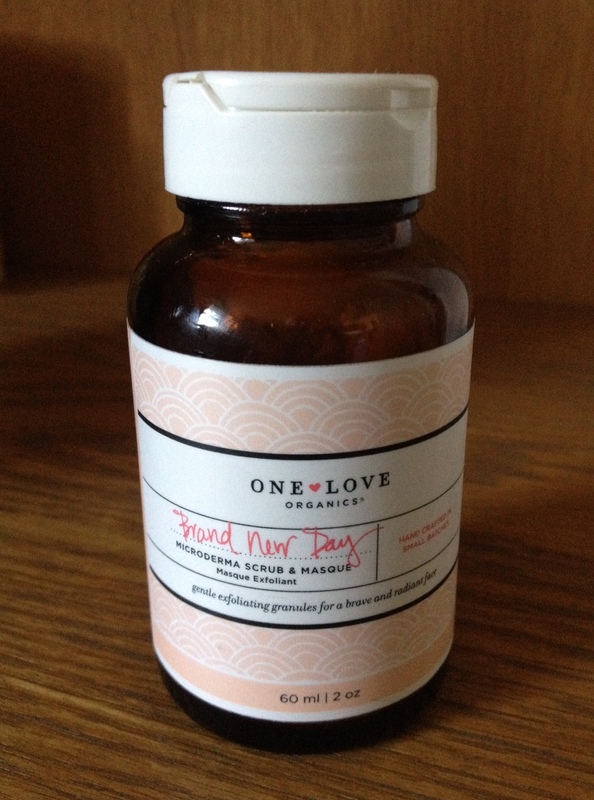 Brand New Day is available in a 0.5 oz ‘discovery’ size which is £9; the full size product (2 oz) is £34. At the moment, the range seems to only be available online, from www.oneloveorganics.eu.